Tennis is a sport that is enjoyed by thousands of people around the world thanks to the need for minimal equipment, and only one other person to play with! Good weather adds to the fun of playing the sport, but thousands of people also enjoy the swoosh of the racket and the crack of a smashed ball on indoor courts as well. Unfortunately we can’t all smash or serve like Roger Federer or Serena Williams but everyone can prepare their bodies, just as the pros do, in order to avoid injury and partake in the sport pain-free. Just because there is no physical contact between players during a tennis match certainly does not mean that injuries are less likely. The repetitive motions that tennis requires such as swinging, lunging, reaching, and twisting can easily lead to overuse injuries if the body is not conditioned well and prepared to play. 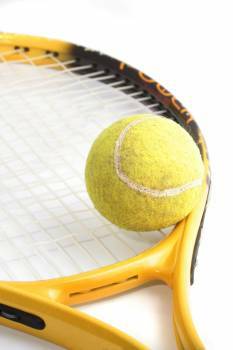 This part of our website is designed to assist you in preparing for your tennis match. Tennis is an exciting spectator’s sport, however, who wants to be stuck watching from the stands due to injury when you could be out on the court serving up aces yourself?